What has made the hilarious sitcom series Brooklyn Nine-Nine such a big success certainly has a lot to do with its stellar cast. Each member of the ensemble brings something unique to the table, and each one of them has plenty of their own amazing moments. 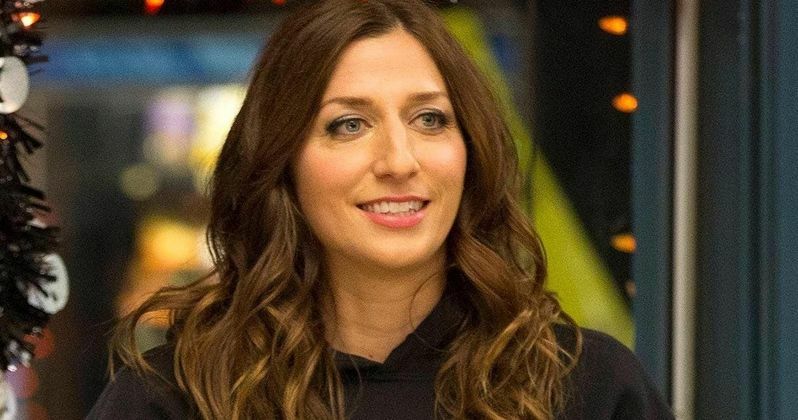 For most fans, it can be hard to pick a favorite character, but everyone can agree that Chelsea Peretti as Gina is one of the show's funniest. Unfortunately, fans will have to get used to the series without Gina, as Peretti has announced via Twitter that she's departing the show in season 6. In a series of tweets, Chelsea Peretti says she "won't be doing a full season" when Brooklyn Nine-Nine returns. Her wording suggests Gina will appear in the new season, but only in a limited capacity before she's somehow written out. The actress adds that this doesn't mean she won't ever come back, but as it of right now, Peretti will be departing the hit comedy series. How the character will be written off remains to be seen, but it will presumably be done in an amicable way to allow a return in the future, even in the capacity of a cameo. Peretti doesn't give a clear reason behind her exit, but for some understanding, she compares the situation to another series losing a major star. Over on Showtime, Shameless is preparing to undergo some big changes as Emmy Rossum has announced her own departure. Peretti tweeted Rossum's actual statement, highlighting the parts which she specifically related to. This includes many messages of love and admiration for her fellow cast members, making it clear she will continue to support them even if she's no longer on the series herself. This is actually not the first time Peretti has left the series, as she's done so once before, but only temporarily. Due to maternity leave, the actress sat out the first half of season 5. Her exit seems to be permanent this time, and fans have been very vocal on social media giving Peretti their support. There's no word yet on where or when we can see Peretti in other film or TV projects, but we can only imagine she'll be providing her fans with updates on that soon. As it is, Brooklyn Nine-Nine is still awaiting an official premiere date for season 6 from NBC. This will be the first season to air on the network after its cancellation on Fox after five seasons. Containing 18 new episodes, the new season is expected to air in the 2018-19 mid-season schedule for the network. With so much fan support behind NBC saving the series, it's unfortunate to see a key member of the cast leave so early on. Those remaining behind, however, are certainly entertaining enough for the show to go on. This information comes to us courtesy of Cinema Blend. You can take a look at Peretti's tweets below.